Acupuncture is a safe and effective holistic medicine backed by more than two thousand years of practice and research. It is practiced worldwide both as a primary and complimentary treatment for a wide range of conditions. What is special about Chinese medicine is that while there are somewhat standard treatment protocols for many conditions, the clinical success of acupuncture is related - at least in part - to the wide range of diagnostic signs and symptoms which are taken into effect when looking at an imbalance. The way that we treat a headache, for example, may vary depending on the individual symptoms. We look at your tongue, check your pulse, ask about your diet and lifestyle, palpate your spine, etc. This range of diagnostic information allows us to develop a treatment strategy that is unique to you and your experience of a particular condition. It's understandable to have some hesitation about intentionally sticking needles in your body! Who does that? Acupuncture needles are what we call filiform, meaning solid. Most of the pain we associate with needles is due to the hollow nature of needles that inject vaccines, not to mention the injection itself. Those needles are actually taking a small core of tissue. 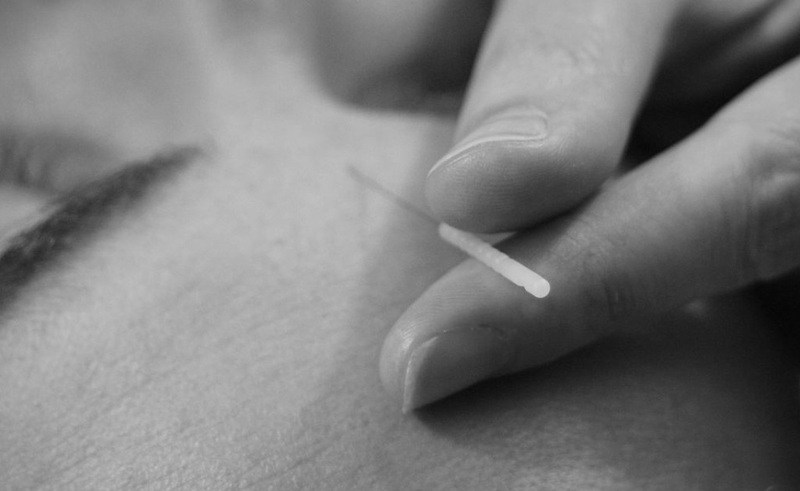 Acupuncture needles are typically the width of a few strands of hair and are pushing the tissue to the side. Some patients report a brief pinching sensation that immediately dissipates. Many feel no discomfort at all, rather a qi (pronounced chee) sensation-- some describe it as heaviness, vibrating, tingling, etc. On top of all this, we will have accumulated over 950 hours of clinic experience by the end of our graduate program. In this time, perfecting technique and needling skill is of the utmost importance. We don't live by a "no pain, no gain" philosophy. If the needle is uncomfortable, we would remove it. Menstrual and fertility Issues such as PMS, amenorrhea, irregular menstruation, etc. In general people find acupuncture to be an incredibly relaxing experience, even for those who have some initial hesitation about needles. In general your first treatment involves quite a bit of discussion, as we gather as much information as possible to clearly understand and diagnose your issues from an oriental medicine viewpoint. We ask you questions surrounding the chief complaint (the reason why you came) and then a host of questions that may seem like they don't relate. The questions about your sleep, digestion, stress, etc. help us to reach the most effective treatment plan. We will also look at your tongue and feel both pulses at your wrist. This gives us additional diagnostic information. The needling during the first treatment may be limited so you can become accustomed to the experience and we can see how you respond. If you have any questions as we go through the process, just ask! We're happy to talk about what we are doing and why. Your involvement in your health is important to us.